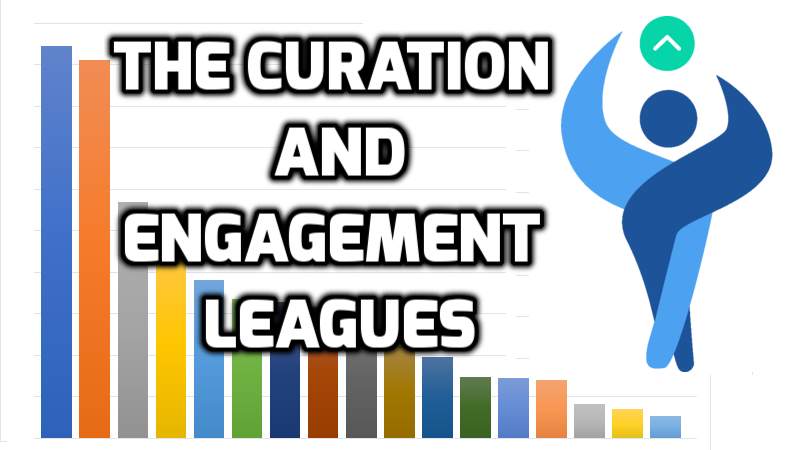 Welcome to this weeks Engagement and Curation leagues, kindly sponsored by the awesome @curie! Thank you for all the comments here each and every week, I'm sorry that I do not catch them all and cannot vote every one of them. Partiko, ulog, and fast-reply comment character lengths have been adjusted accordingly! The league tables are reset each week and so any time is a good time to join! 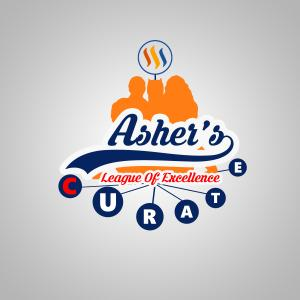 This league is not based around financial rewards and relates to engagement. Everyone currently on my master list has a chance here - including those powering down or dealing in delegations over the past couple of weeks. Firstly, if you are placed in the table above then you among the top 25% of the league entrants! Unstoppable at the top, I've lost count of the number of pole positions @janton has earned. Bravo sir! In 2nd, a fine job from @smithlabs this week who has moved up 11 places from last week. Nice one! Last weeks' 2nd, @steemflow, earns a hugely respectible 3rd place this time - consistent stuff, well done! 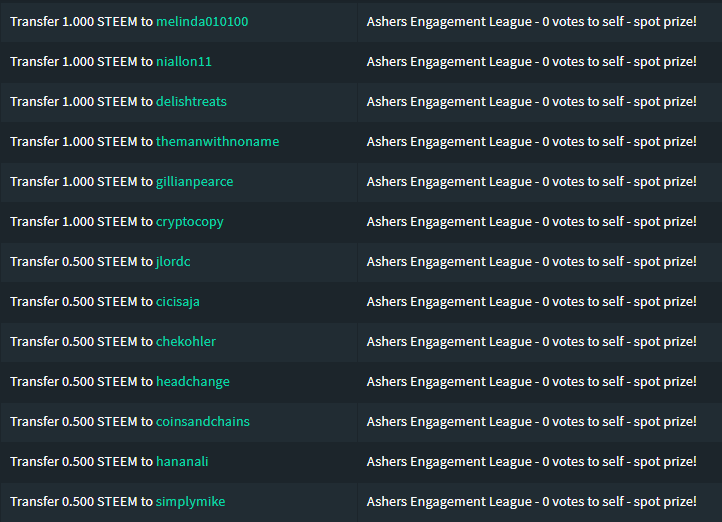 Excellent engagement levels also from @abh12345, @veryspider, @paulag, @macoolette, @lynncoyle1, @erikah, @maquemali, @dreemsteem, and @brittandjosie, who will all be receiving some STEEM this week. Those without a self-vote (from their main account at least! 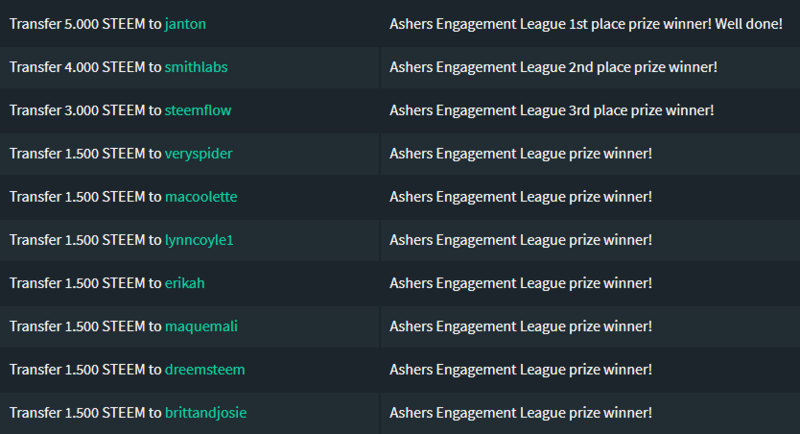 😱) and placed in the top ranks will also receive a little STEEM. These people are: @melinda010100, @niallon11, @delishtreats, @themanwithnoname, @gillianpearce, @bengy, @cryptocopy, @jlordc, @cicisaja, @chekohler, @headchange, @coinsandchains, @hananali, and @simplymike. Please find the rules in a previous post. A @steembasicincome share, courtesy of @fullcoverbetting, goes to @coinsandchains! Thanks Peter and well done @coinsandchains! Thank you everyone, have an awesome day!